These scones are more dense than a biscuit. Quick and easy, they go great with any meal. Top with butter and honey or jam. Mix all the dry ingredients together in a large bowl. Make a well in the centre and add the smaller quantity of buttermilk, 3/4 cup. Mix by hand, adding more buttermilk if necessary, until you have a soft but not sticky dough. 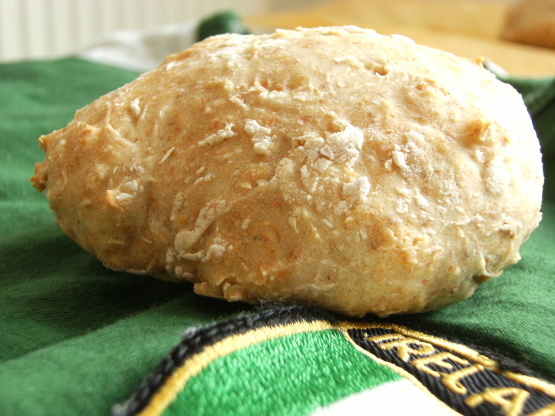 Turn out on to a floured surface and knead lightly - just enough to shape the dough into a round. Flatten it to about1in thick and cut out 8-10 scones, round or triangle. Put on to a floured baking tray and bake for about 15 minutes, until risen and golden. Leave to cool slightly on a wire rack. Serve with soup, stews, or traditional breakfasts or any meal.